LA*SURFPUNK HOLLYWOOD: IS IT OUT YET? 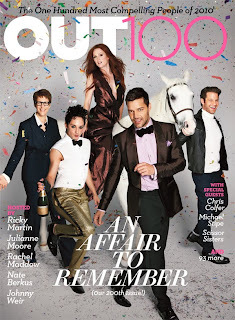 The OUT 100 issue is debuted. This is the magazine's 16th annual list. We've got Ricky, Rachel, Johnny and Nate on the cover. Covergirl! Put the bass in your walk! Head to toe! Let your whole body talk!